Quick turnaround/cycle time: you deserve to have your car repaired in a timely manner. Lifetime Warranty: Your satisfaction is important to us so all repairs performed carry a lifetime warranty for as long as you own the vehicle. Pick-up and delivery of vehicle: Let us take the hassle out of getting your car repaired. 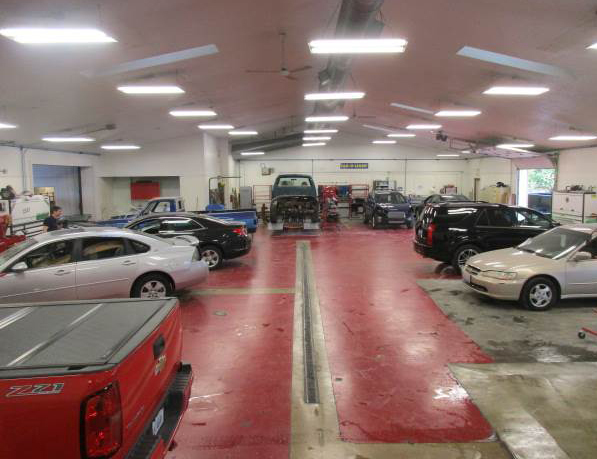 We’ll pick up your car, repair it, and deliver it back to you. Shuttle service: Need a ride once you’ve dropped off your car? No problem, we’ll get you where you need to go! Rental Car Service: Turk’s has established a partnership with a local rental car facility, and we will make the arrangements for you. Paintless dent repair (PDR) (on site) By appointment. Professional detail with 27 point checklist following every repair: This includes interior cleaning and vacuum, spot removal of carpet and seats, windows and mirrors sparkled, and hand wash. Direct billing with all insurance companies: Turk’s will work proactively with your insurance company to deliver the high-quality service you deserve. Gold Class Professionals are collision repair businesses that have achieved a high level of collision repair training. Aarded by the not-for-profit organization the Inter-Industry Conference on Auto Collision Repair (I-CAR), Gold Glass Professionals have the knowledge and understanding to work with other industry professionals regarding the repair of your vehicle. Not only does this reduce the hassle involved in a collision, but a proper repair helps you keep you and your family safe on the road. The technology of today’s cars is becoming more complex every day. Properly trained technicians and the latest state of the art equipment need to be present in the repair facility you choose. The equipment needed to properly restore your vehicle to pre-accident condition costs hundreds of thousands of dollars and without it, the quality, appearance, longevity, and safety of your family could severely be jeopardized.